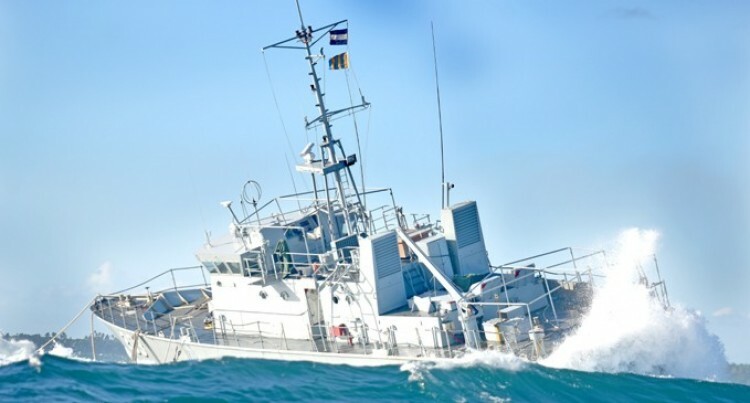 The Republic of the Fiji Navy vessel, Kiro, which ran aground on Cakauyawa Reef near Nukulau Island last year will not be salvaged. This was confirmed by Minister for Defence, Ratu Inoke Kubuabola, in Parliament yesterday. His confirmation came after SODELPA Opposition MP, Ratu Sela Nanovo, asked for the total cost to salvage the vessel and whether it was budgeted for. “There is no salvage work being carried out. There is no plan for salvage works. The ship will stay right there,” Ratu Inoke said. However, he said fuel and all hazardous materials on board the vessel had been removed. He also said the vessel didn’t need to be salvaged because it would not have an impact on the environment. Ratu Inoke also confirmed in Parliament that the Board of Inquiry report was completed and was before the Republic of the Fiji Military Forces. He said the recommendations on the report were disciplinary in nature and was handled by Republic of Fiji Military Forces (RFMF) legal unit for verification and due diligence. Ratu Inoke said there were recommendations to review training procedures for Fiji Naval personnel. SODELPA Opposition MP, Viliame Gavoka asked what the strength of Fiji Navy was after the vessel ran aground last year. Responding to the question, Ratu Inoke said the Fiji Navy currently had more than 300 regular naval personnel and four naval vessels. He said currently only one vessel was in operation which is the RFNS Kula. The RFNS Kikau, Ratu Inoke said, would be taken to Australia for a six month refit programme. He said the RFNS Lautoka was awaiting safety and structural survey next month whereas RFNS Levuka was also waiting to be decommission.